The Carnicom Institute and its founder have an extensive history of research on geoengineering topics and aerosol research that is available to the public. This history spans more than a decade and includes scores of papers and hundreds of pages on the topic. This work is available through the research section of this website, located here. If you have an interest in this topic, please consider visiting this portion of the site and investigate the numerous papers that have been written on the topics beginning in 1999. The papers are arranged chronologically on the research page with the more current papers at the top of the page. You may also wish to use the search box at the top of the research paper listing, and specify appropriate keywords or topics to bring up the relevant pages. Such keywords might include such terms as aerosols, meteorology, electromagnetics, humidity, pH, clouds, rainfall, energy, ELF, aircraft, and similar terms. 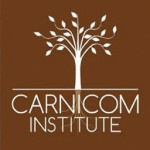 The Carnicom Institute remains strongly focused on the geo-engineering issues and their correlation with the biological research and bioengineering topics that are under intensive study throughout the past several years. The reader is encouraged to investigate the connections between these two broad areas of research that are extensively examined on this site.